Signum Group is an authorized reseller and implementer of Oracle SCM Cloud. 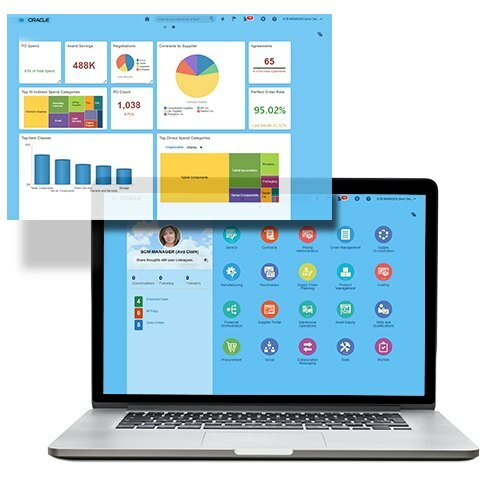 Oracle SCM Cloud is the most robust SCM suite in the cloud. With capabilities that include product innovation, strategic material sourcing, outsourced manufacturing, integrated logistics, omnichannel fulfillment, and integrated demand and supply planning, Oracle SCM Cloud allows you to deploy functionality incrementally, with minimal risk, lower cost, and maximum flexibility—all with the benefit of ongoing functional innovation. Implementation: Signum Group implements Oracle SCM Cloud applications to client configurations for a more integrated and intelligent supply chain.